As I was getting ready to wrap up my November photo challenge with posting an image a day shot with the 55mm Prime lens I wanted to find a challenge for December. One of the Vloggers that we enjoy watching Zoe Sugg posted her Photo A Day challenge for December and I thought it was a great Idea so I modified the thought a bit to include both festive and photography related topics for the month. 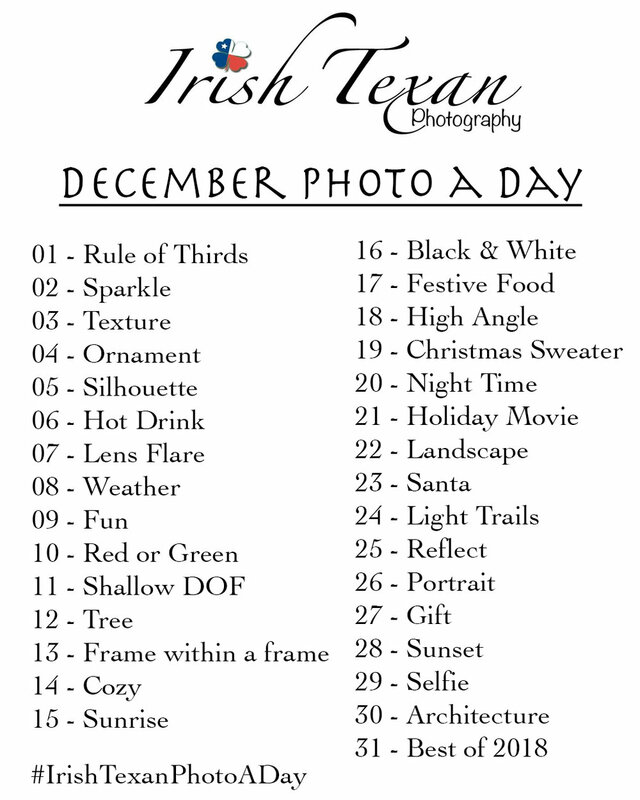 I will post another Blog post as a wrap up but for now, think about joining in on the fun and tagging your shots with #IrishTexanPhotoADay for December!